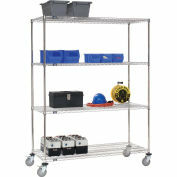 Stainless Steel Shelf Truck with Dolly Base, 48x24x81, 1600 Lb. Cap. 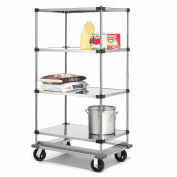 Stainless Steel Shelf Truck with Dolly Base, 48x24x70, 1600 Lb. Cap.